20,442 adult foreign nationals have registered national insurance numbers from Oldham addresses in the last 16 years with 28% doing so in the last 3 years of which 35% came from Romania. 2015, 2016 and 2017 saw the highest numbers of adult migrants ever recorded arriving in Oldham. In the last financial year Oldham children’s services faced an unexpected £8 million increase in spending by February 2018. This was as a direct result of foreign born children arriving in the borough the majority originating from Romania and migrant areas where birth rates are 64% above the England average. 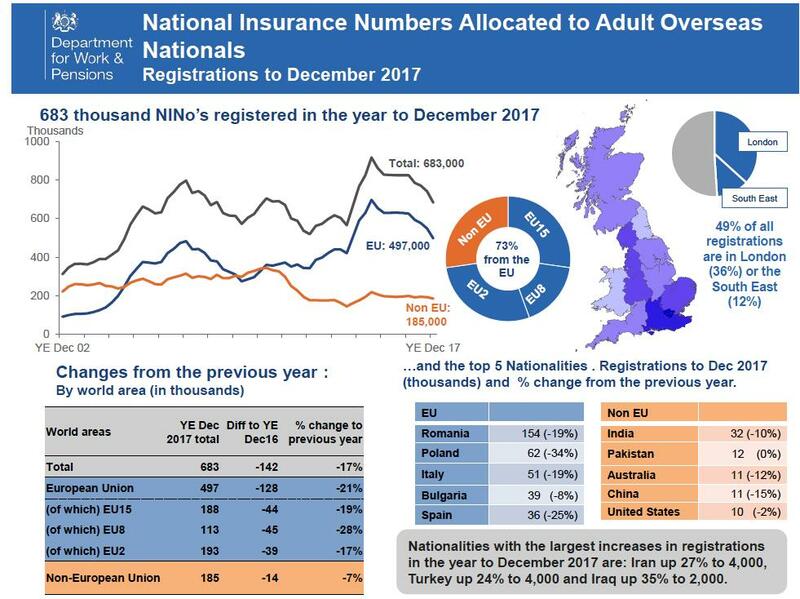 In total another half a million adult EU nationals registered national insurance numbers in the UK in the year to December 2017 with 154,000 thousand arriving from Romania. Figures released today show there are 762 asylum seekers in Oldham and 6,787 in all Greater Manchester which continues to bare unfair pressure accommodating 70% of all asylum seekers resident in the North West while Cheshire, Cumbria, Lancashire & Merseyside combined share the other 30%. 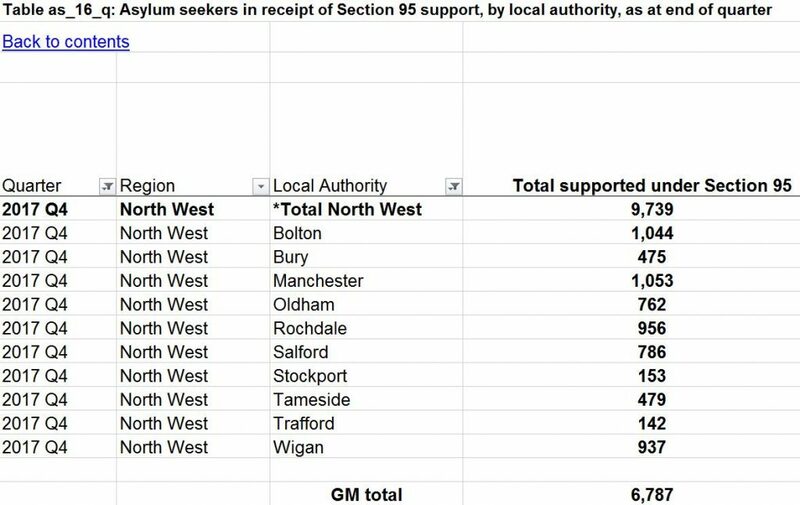 These figures have been met with the usual silence from Labour Oldham and their local press partners as the relentless importation of foreign poverty into an already deprived central Oldham which makes national and local headlines every week for issues surrounding poverty continued unabated. 2017 delivered the third highest rate of adult migrant NINo registrations on record and a 10% rise in asylum seekers resident in Oldham.